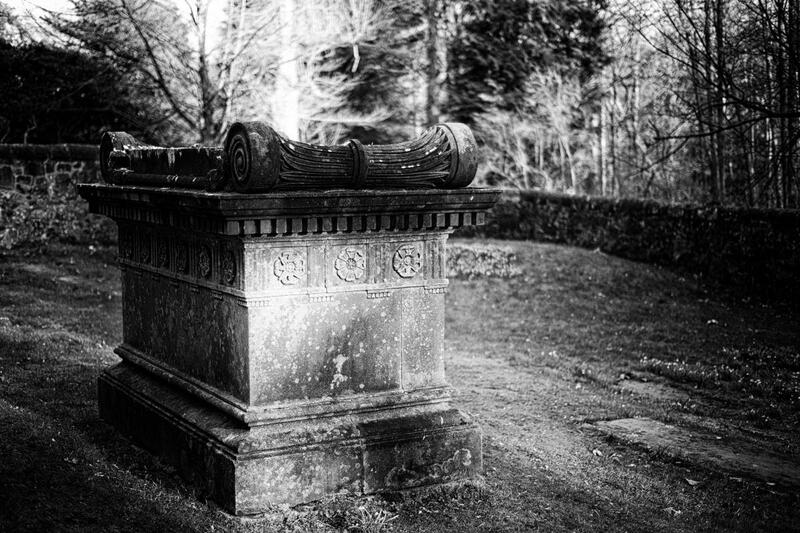 Resting Places is an installation that uses sound compositions and photographs to document the beauty and decay of old Scottish graveyards. The term ‘resting places’ refers to the obvious fact that people are laid to rest in these spots – but also to the fact that throughout time people have used them as quiet havens and places that offer remembrance, silence and solitude from the hustle and bustle of contemporary life. The truth is that many of these places are now decaying and crumbling as the passage of time gnaws away at these once hallowed locations. 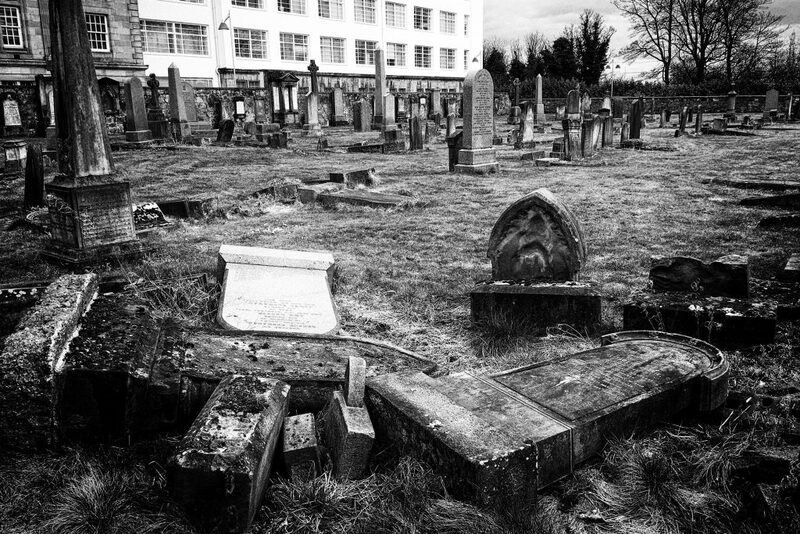 Over time the people who knew those interred have themselves passed on and so now – no one ( apart from perhaps the local governing bodies) are left to care for these once important monuments. The weather, pollution, vandalism, politics, time and other urban ecological factors have all played a part in their decay and so currently many of these important documents of past lives and cultures are fading and being lost forever. In bygone times these sites were quiet sanctuaries for mourning, remembrance and reflection – but today – redevelopment, industry, motorized traffic and an abundance of people are contributing to both environmental and noise issues that pollute these locations. (Of course our ancestors would have been oblivious to these coming developments). So we must consider whether we have any control over these matters or is it a part of our continual evolution. Perhaps we must make do with continual advancement but have compassion and respect for those that came before us. For this installation I use sound recordings and photographs to document the current state of these sites. The field recordings from the locations are often processed from their original forms to offer my original reinterpretation of the situation. The aim is to document and expose the current physical and auditory condition of these unique and very important ‘resting places’. This project took place during March/April 2018. 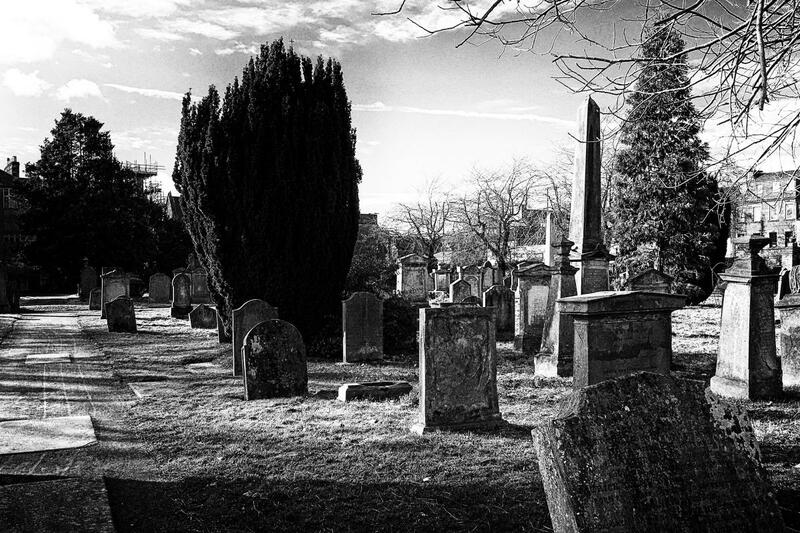 The Greenside Cemetery is located alongside the Alloa Old Kirkyard at Kirkgate in Alloa. It is not open to the public but keys can be obtained from the Clackmannashire Council buildings located at Kilncraigs, Greenside Street, Alloa. 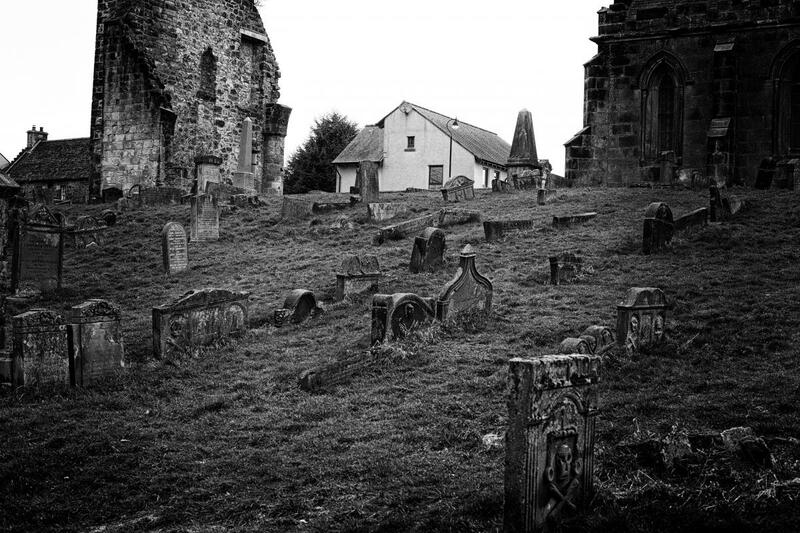 It has also been known as Alloa Churchyard Cemetery, the Old Parish Church of St Mungo and Kirkgate. The church of St Mungo dates back to the 1300s. The old kirk building was demolished in the early 1800s but its ruined west gable and tower survive. The surviving Mar and Kellie Mausoleum was built in 1819. The last burials took place in the 1930s. 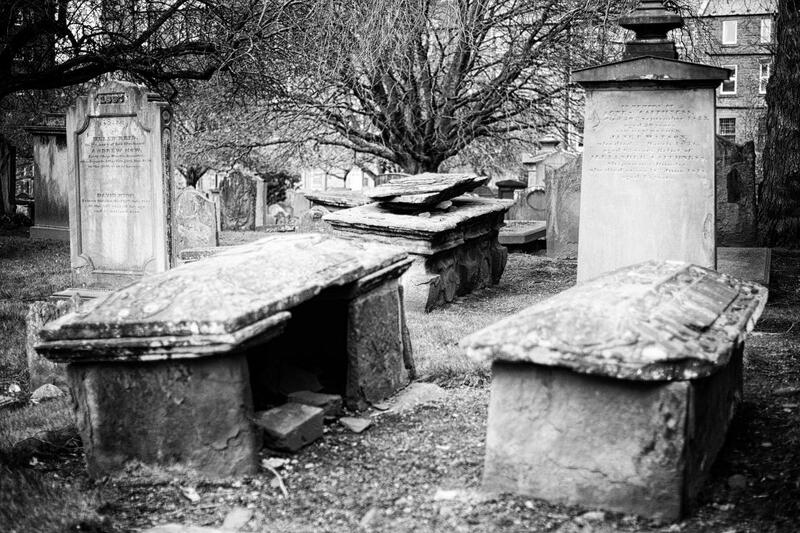 The Greyfriars Burial Ground is located on Canal Street in the center of the city of Perth. It is located on the former Franciscan friary site and was designated as a burial ground in 1580 when St John’s Kirk ran out of burial space. Many of the early stones were removed and used to build Oliver Cromwell’s Citadel in the town. It is also used as a biodiversity bank for wildlife. Tibbermore is a small village located in Perthshire. 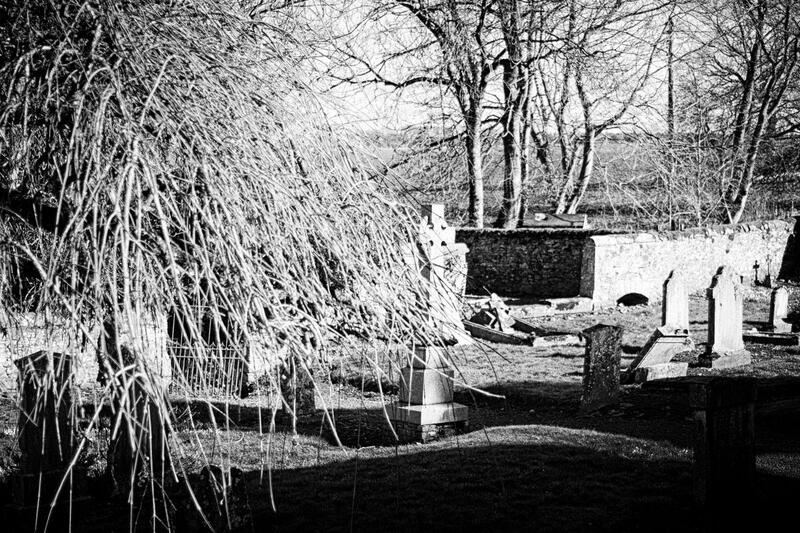 The church yard has been used as a place of worship since the middle ages and the existing church was built in 1632. Since 1986 the church is in a state of disrepair and is not currently is use. Recently it has seen some work and has also been used as a location set for the Outlanders TV show. Houston is a small village in Renfrewshire. The local church is the Houston and Killellan and was originally built around 1220-32. The current building was built in 1875 on the site of one built previously in 1775.